This year has delivered big developments for the aggregates industry, and 2016 promises even more. The biggest news comes from Washington, with the U.S. House of Representatives and Senate each passing six-year highway bills, the first real hope for long-term funding since SAFETEA-LU expired in 2009. As we went to press, the two houses of Congress were working to reconcile the two bills. The president, trade associations and labor unions have long been pushing for a long-term bill to provide assurance that money will be there for major infrastructure projects. The other big news in 2015 was the merger of the world’s largest construction materials companies – Lafarge and Holcim. With a combined market value exceeding $50 billion, the new company has Eric Olsen at the helm, and is called LafargeHolcim. The deal was completed in July. Other big news came from Pit & Quarry, where in March we announced a partnership with the National Mining Hall of Fame & Museum. Through the deal, inductees to the Pit & Quarry Hall of Fame will be featured in the National Mining Hall of Fame in Leadville, Colo. The coming year will also see Pit & Quarry celebrate its 100th anniversary. We’ll have a special section in every issue and an anniversary supplement in June. So stay tuned. 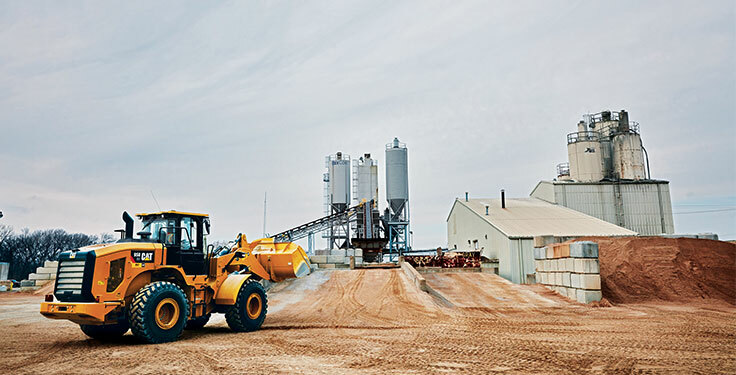 What else is on the horizon for the aggregates industry? Trade shows. In March, the National Stone, Sand & Gravel Association takes its AGG1 Aggregates Academy & Expo to Nashville, Tenn. 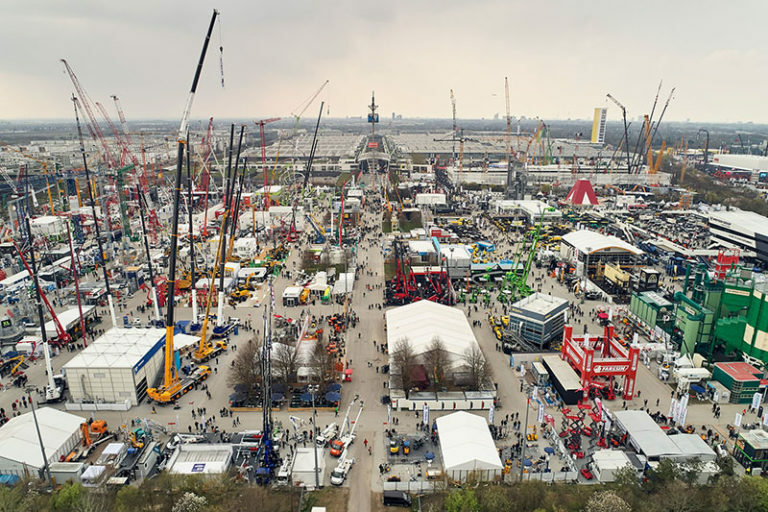 The world’s largest trade show, Bauma, will be held in April in Munich, Germany; and in June is Hillhead, which takes place at a quarry near Buxton, England, and features live equipment demonstrations. In September, the once-every-four-years MINExpo International takes place in Las Vegas, and it won’t be long after that when the industry returns to Vegas for ConExpo-Con/Agg 2017. Research firm FMI predicts 7 percent construction-industry growth for 2016, reaching $1.09 trillion, the highest total since 2008. While transportation construction, largely driven by rail and airport renovation projects, is showing a sustainable growth of around 9 percent a year, highway and street construction continues to suffer budget uncertainties (as of press time), and most work is being funded by states for necessary repairs to roads and bridges along with some key projects on major thoroughfares. As construction gets busier, productivity improvement becomes more of a challenge. Contractors are taking greater advantage of technology – from communications advances and GPS to prefabrication, modularization and even robotics for dangerous and repetitive tasks like welding. FMI says it expects to see these technologies and new business practices expand, especially in areas where it has been difficult to find skilled workers and in highly competitive markets. Productivity improvements will be critical, no matter which way the stock markets go in the coming year. FMI’s George Reddin, Pit & Quarry’s economics columnist, says the construction materials sector has had an eventful 2015 marked by major transactions and the sector’s first initial public offering in more than 15 years. Volumes continue to move up modestly as the housing sector continues its slow, but steady, recovery. More good news comes from Dodge Data & Analytics, which predicts total U.S. construction starts for 2016 will rise 6 percent to $712 billion, following gains of 9 percent in 2014 and an estimated 13 percent in 2015. “The expansion for the construction industry has been underway for several years now, with varying contributions from each of the major sectors,” says Robert Murray, chief economist for Dodge Data & Analytics. “Total construction activity, as measured by the construction starts data, is on track this year to record the strongest annual gain so far in the current expansion, advancing 13 percent. Much of this year’s lift has come from nonbuilding construction, reflecting the start of several massive liquefied natural gas terminals in the Gulf Coast region, as well as renewed growth for new power plant starts. Single-family housing will rise 20 percent in dollars, corresponding to a 17 percent increase in units. Access to home mortgage loans is improving, and some of the caution exercised by potential homebuyers will ease with continued employment growth. Multifamily housing will increase 7 percent in dollars and 5 percent, slower than the gains in 2015 but still growth. Low vacancies, rising rents and the demand for apartments from Millennials will encourage more development. Commercial building will increase 11 percent, up from the 4 percent gain estimated for 2015. Office construction will resume its leading role in the commercial building upturn, aided by more private development, as well as construction activity related to technology and finance firms. A long-term outlook comes from Timetric’s Construction Intelligence Center, which forecasts that the U.S. construction industry will likely grow over the next five years. The center predicts the construction sector’s average annual growth is set to accelerate from 1.7 percent during its review period to 3.1 percent over the forecast period, increasing from $1 trillion in 2014 to $1.1 trillion in 2019. Residential construction was the largest market during the review period and will retain this position, mainly supported by the government’s plans to increase the budget allocation by 1.9 percent to $46.7 billion in 2015. The budget will support homeownership, sustainable community development and access to affordable housing. Additionally, the country’s population is expected to increase from 321.2 million in 2010 to 338 million by 2020, which would increase demand for housing over the forecast period. According to Timetric, the biggest drivers of construction growth will likely include the need to modernize aging infrastructure, the renewable energy sector and a growing population in the United States. Residential construction was the largest market during the review period, followed by energy and utilities construction as the second largest. Cement: World demand for cement is expected to rise 4.5 percent per year to 5.2 billion metrics tons in 2019. In value terms, this means global demand for cement will advance 7 percent per year to $420 billion in 2019. Gains will be driven by healthy increases in construction activities in developing countries throughout the Asia/Pacific and Africa/Mideast regions, says the study. China will continue to be the largest driver of growth for cement, and North America will also have strong gains as the U.S. construction industry continues to recover from recessions. Asphalt: U.S. demand for asphalt is expected to increase 3.3 percent annually to 26.8 million tons in 2019. According to the study, asphalt demand will be ignited by a rebound in building construction expenditures, as well as efforts to maintain the nation’s infrastructure. The study expects demand for asphalt in paving applications to rise 3.1 percent per year to 19.6 million tons through 2019. The Freedonia Group expects the increased demand for asphalt to be supported by improving economic conditions and the need to fix and repair older roads and highways. Proppants (including frac sand): Demand for proppants in North America is forecast to increase 7.6 percent annually through 2019 to 162 billion lbs. The Freedonia Group values the demand at $8.2 billion. Demand for proppants will decelerate from the extremely rapid growth posted between 2004 and 2014. Future gains will result primarily from increases in proppant loadings in unconventional well completions. The Freedonia Group also looked at the World Construction Machinery market, and says world demand for construction machinery is forecast to advance 3.9 percent per year through 2019 to $218 billion. The Asia/Pacific region, Central and South America, and the Africa/Mideast region are expected to register above-average gains moving forward as construction spending continues to increase in developing countries. More than two-thirds of all additional construction equipment demand generated between 2014 and 2019 will be coming from China. The study also reports that continued growth in construction activity and significant investment in large surface mining projects will help Central and South America recover from the sales declines registered between 2009 and 2014. Employment is another good indicator of market conditions. Construction firms added jobs in 40 states and the District of Columbia (D.C.) between May 2014 and May 2015, reports the Associated General Contractors of America (AGCA). California added more construction jobs – a total of 46,600 jobs for a 6.9 percent increase – between May 2014 and May 2015. That increase is more than any other state, says AGCA. Florida added 28,200 jobs for a 7.2 percent increase; Texas added 20,300 jobs for a 3.1 percent increase; Washington added 18,100 jobs for an 11.6 percent increase; and North Carolina added 15,600 jobs for an 8.8 percent increase. According to the Society for Mining, Metallurgy & Exploration’s 2015 Guide to Minerals and Materials Science Schools, 356 mine engineering degrees (BS, MS, Ph.D.) were awarded to students graduating from U.S. mining schools in 2014. The number of graduates from U.S. mining and mineral engineering programs has increased steadily since 2004. Mining is one of a handful of sectors that will add jobs at a fairly constant rate over the next 20 years. Although there has been a decline in the number of mining and mineral engineering programs at U.S. colleges and universities, there continues to be a noticeable increase in the number of graduates in those programs. The industry demand for qualified graduates to enter the workforce will only intensify as vacancies are created with current professionals reaching retirement age. Ward Nye, chairman, president and CEO of Martin Marietta, says, “As we begin to conclude 2015, we are encouraged by how well we performed, especially in light of the significant task of integrating TXI into Martin Marietta. It is a testimonial to our people and our processes that the integration went as smoothly as it did. “I look no further than the 50 percent improvement in the safety record of the acquired businesses as evidence of integrating the cultures of our combined company,” Nye says. “More importantly, with the effort substantially behind us, and the positive economic environment in our geographies, we are excited about our outlook for 2016 and beyond. For the public sector, authorized highway funding from MAP-21 should remain stable compared with 2014. Additionally, state initiatives to finance infrastructure projects are expected to grow and continue to play an expanded role in public-sector activity. The company has started framing a preliminary 2016 outlook for its aggregates end-use markets based on its internal observations in conjunction with McGraw Hill Construction’s economic forecast. The company currently expects the infrastructure and nonresidential construction markets to increase slightly, and the residential market to experience a double-digit increase. While the company is optimistic regarding the passage of a multi-year highway bill, the preliminary 2016 outlook excludes any resulting increase in infrastructure construction activity. Tom Hill, president and CEO of Vulcan Materials, says, “The ongoing, gradual recovery in construction activity and demand for our products continued in the third quarter. In fact, many of our customers now face bottlenecks in completing jobs as scheduled, particularly where significant work was delayed by weather in the first half of the year. Regarding the company’s outlook for the remainder of 2015, Hill adds, “Demand for our products continues to strengthen, and we are encouraged by the strong growth in aggregates pricing throughout our markets. We are reaffirming our expectation for full-year adjusted EBITDA of $775 to $825 million, assuming normal weather patterns in the fourth quarter. Darren Constantino is an editor of Pit & Quarry magazine. He can be reached at dconstantino@northcoastmedia.net.